Procedures for registering real estate involving foreign nationals　in Japan can be very complicated and difficult. Depending on the type of property, location, the type and purpose of registration, procedures will be drastically different. 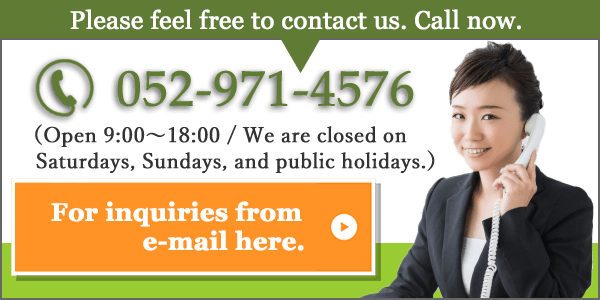 Please consult an experienced Judicial Scrivener, Shintaro Ideta at Nagoya Legal Office for real estate registration procedures involving foreign nationals in Japan.Let us help you. We support all procedures ranging from buying and selling land for Condominiums and Ready-built houses. Purchasing of land requires a confirmation of seller's will, deletion of security right in arbitrary sale, and verification of the latest inheritance registration. Moreover, there are additional issues to be dealt when a seller becomes bankrupt or is as affiliated-government corporation. If you make a registration unilaterally according to a manual or just as normal, it may lead to serious problems in the future. At our Nagoya Legal Office, we have a lot of experience in providing a variety of services from optimum real estate registration procedures tackled from many different aspects, calculating real estate acquisition tax in the sale of Condominiums, as well as a settlement of easement for road position specifications with detached houses for installment sale and also "A registration of selling and buying real estate" which involves selling the current house and purchasing a new house simultaneously. Feel free to contact us by phone or email at any time. procedures of buying and selling real estate in Japan for many foreign clients. If you are a foreign national wishing to buy or sell real estate in Japan, please consult us, an experienced Nagoya Legal Office. When foreign nationals wish to purchase real estate in Japan, it basically requires the same procedures as Japanese people. However, for preparing necessary documents for registration, affidavits, which need to be prepared with special care, are required. For people from South Korea and Taiwan, we can deal with a seal imprint certificate, a resident card from their home country, but they might be considered inadequate for registration. Procedures change greatly depending on the country of origin of the person who wants to purchase real estate. Therefore, if you consider procedures in each country in the same way as that in Japan, a settlement may be delayed significantly. In order to avoid this, please consult us, an experienced Nagoya Legal Office. When foreign nationals wish to sell real estate, it takes more time than when buying because of detailed attention needs to be paid for verification of the identification, affidavits, etc. Also, it is more complicated than buying and selling for Japanese having to deal with transferring payment after sales and taxes. In case if a seller is a foreign national residing in Japan. Special attention is necessary when a foreign national settles a deal as a seller and a change of address is necessary. As a result of the amendment of Japanese Law, resident cards will be issued to foreign nationals living in Japan from July 9, 2012, and certificates of items registered by Alien Registration Card are no longer issued. However, concerning residence cards issued under this amendment of the law, matters concerning address relocation before July 8, 2012 are not stated. Therefore, if you have not registered a change of your address concerning address relocation prior to July 8, 2012, you will need to submit the Alien Registration Card, which was abolished upon the amendment of the law, to the Legal Affairs Bureau. ※ For an address relocation after July 9, 2012, as mentioned in the resident card, you can simply submit your resident card. However, with the amendment of the law, it is no longer possible to obtain certificates of items registered in Alien Registration Card at municipal offices. Therefore, it is necessary to make a request for disclosure of Alien Registration Card to the Ministry of Justice. However, in principle only the person him/herself can make this request. It usually takes about a month to make a disclosure. Since this amendment of the law, there have been cases where a document for a registration of address change does not arrive in time and the date of settlement of the deal ends up being postponed in some cases.